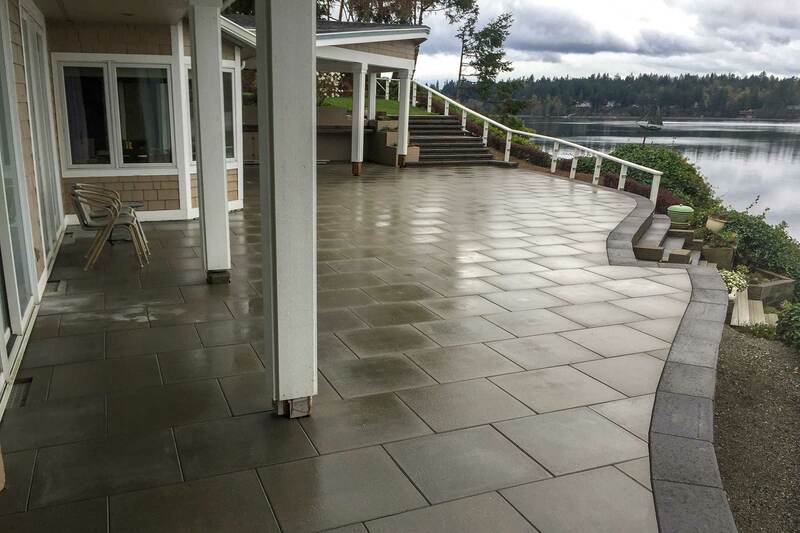 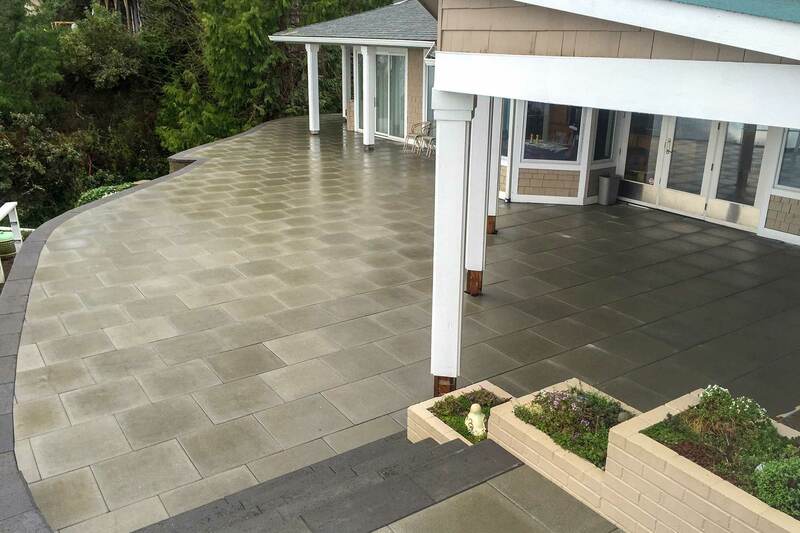 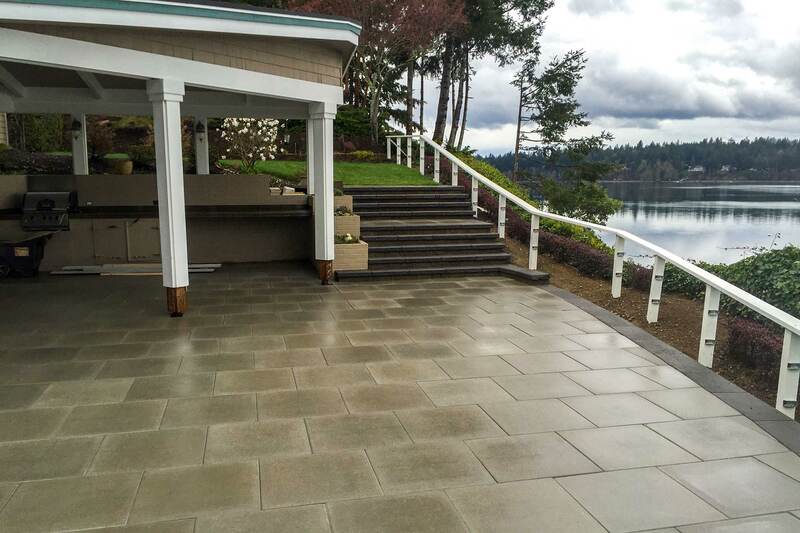 This Vancouver Bay paver patio was a redo of another contractor's work. 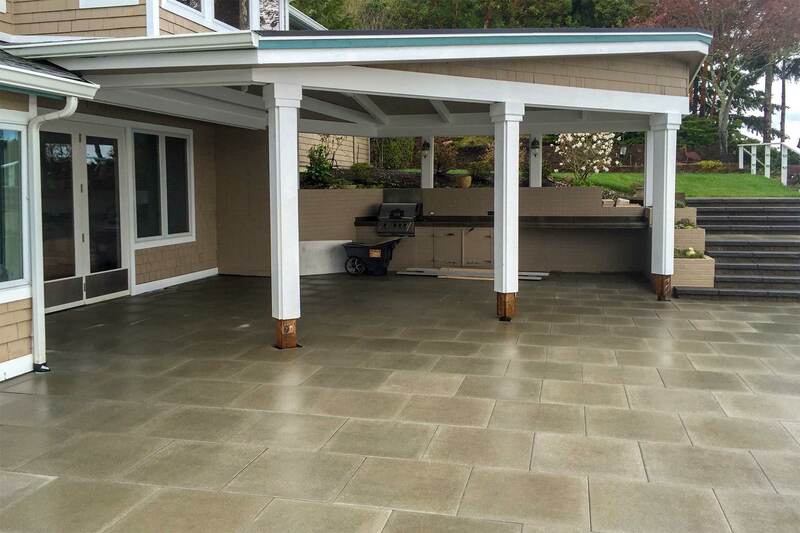 Because the pavers were poorly installed, we had to completely demo the site and rebuild everything from scratch. 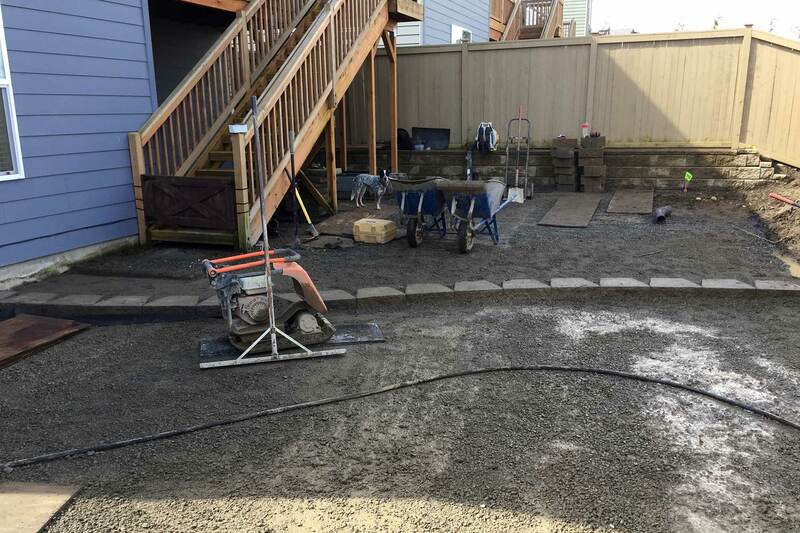 After demo'ing the site, we regraded the patio area and then replaced the gravel base. 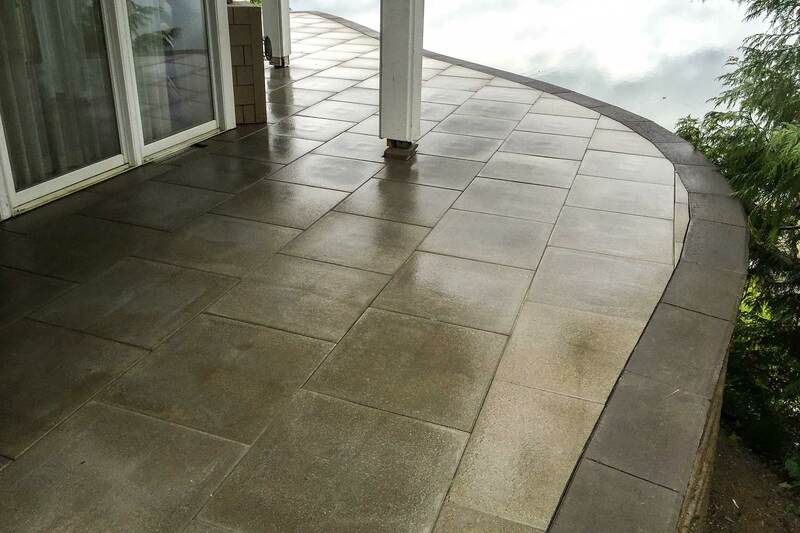 In order to rebuild the patio, we had to -pick through all the previous pavers and hand-select the best ones toreuse. 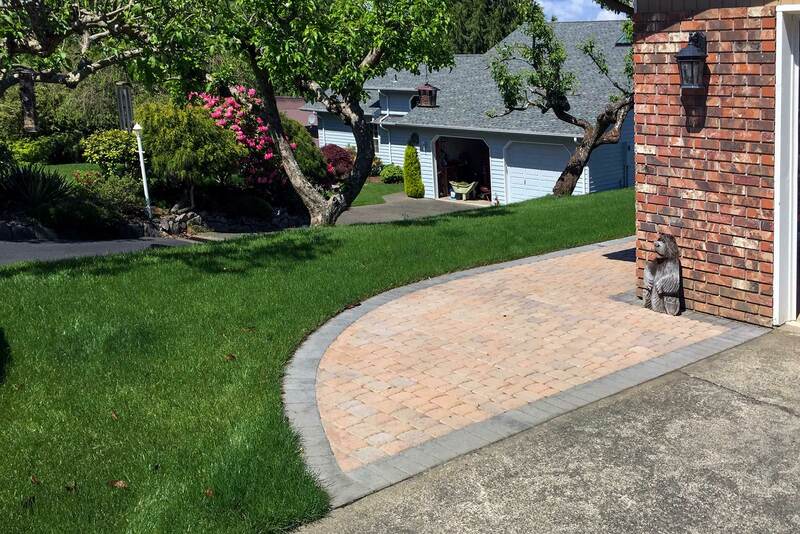 The rest had to be replaced. 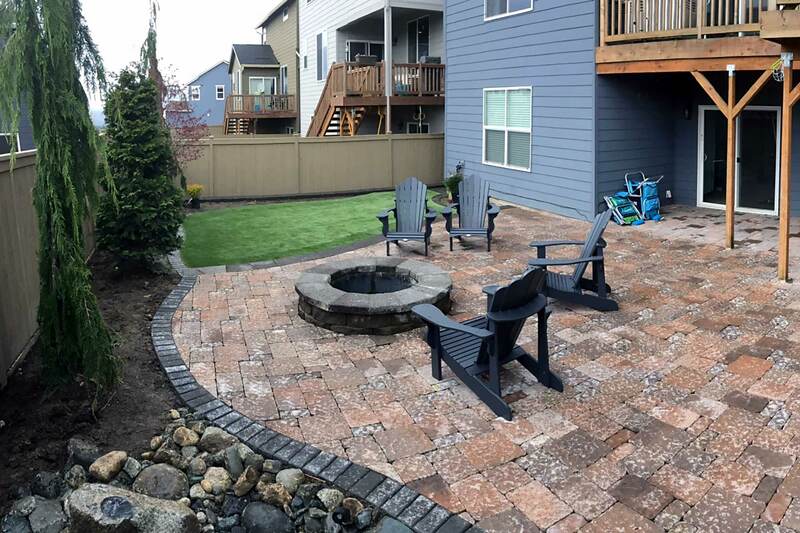 With careful attention to detail, we were able to rebuild this paver patio to a much higher standard than the original. 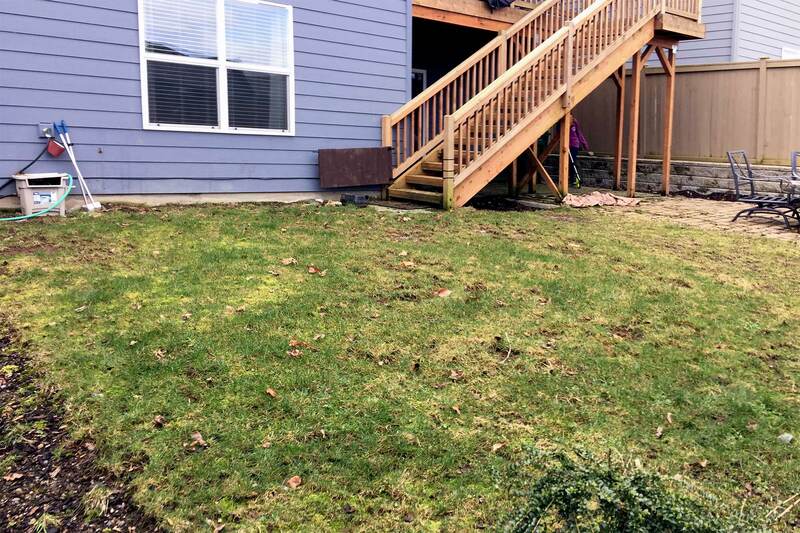 The owners of this Olympia area home wanted to make their backyard more kid friendly and provide safe access to a treehouse for their young boy. 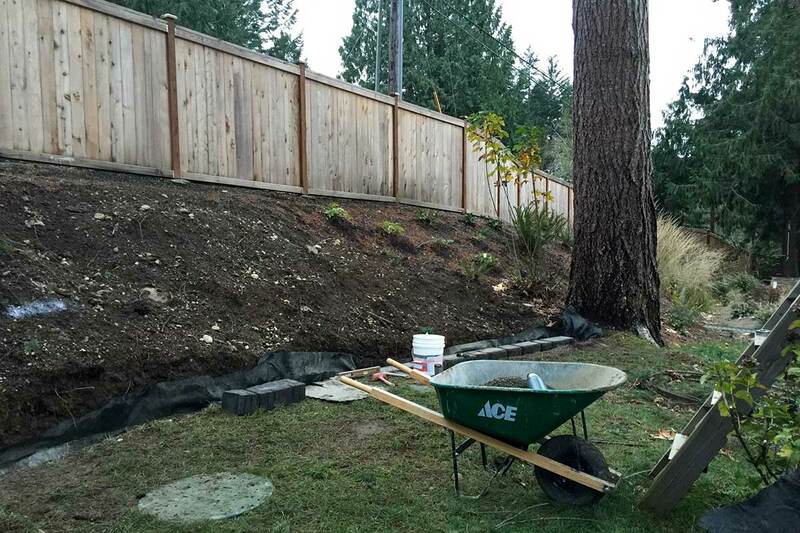 Before Dreamscapes installed a retaining wall, the property line was simply a bern covered in worn-out landscape mulch. 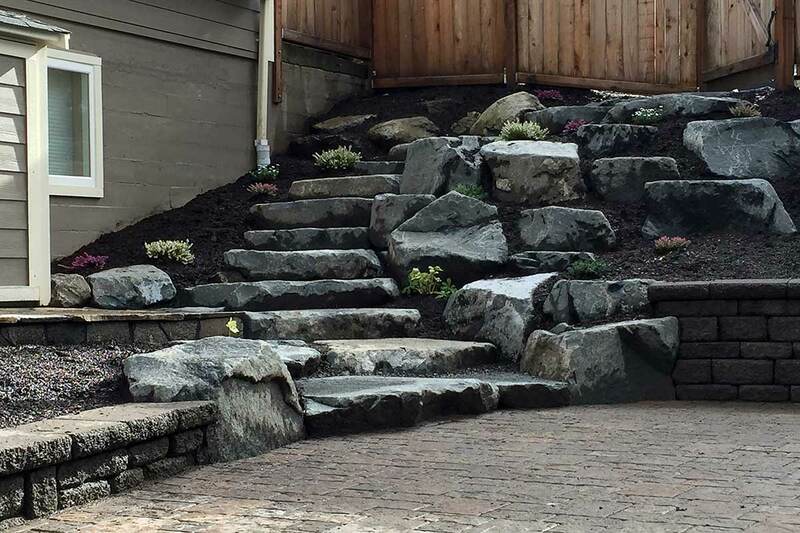 Dreamscapes created this rockery, complete with a natural stone stairway, to complement the retaining wall and paver patio. 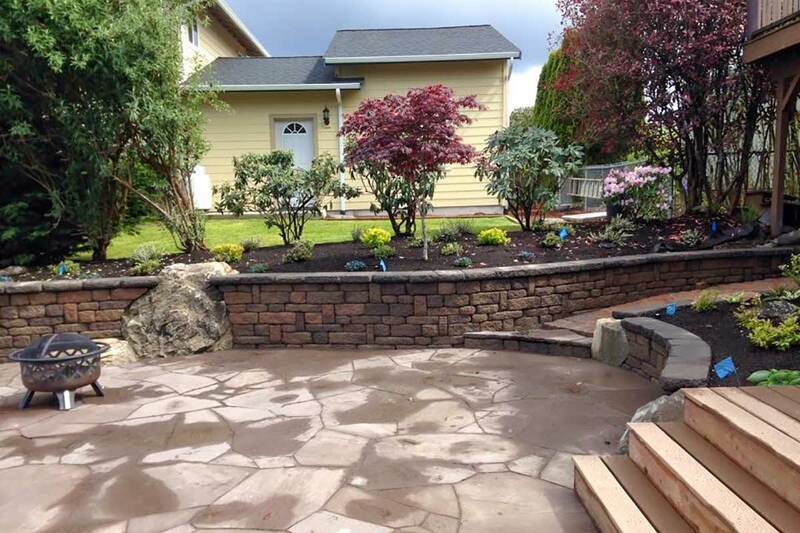 Before the rockery and natural stone stairway was installed. 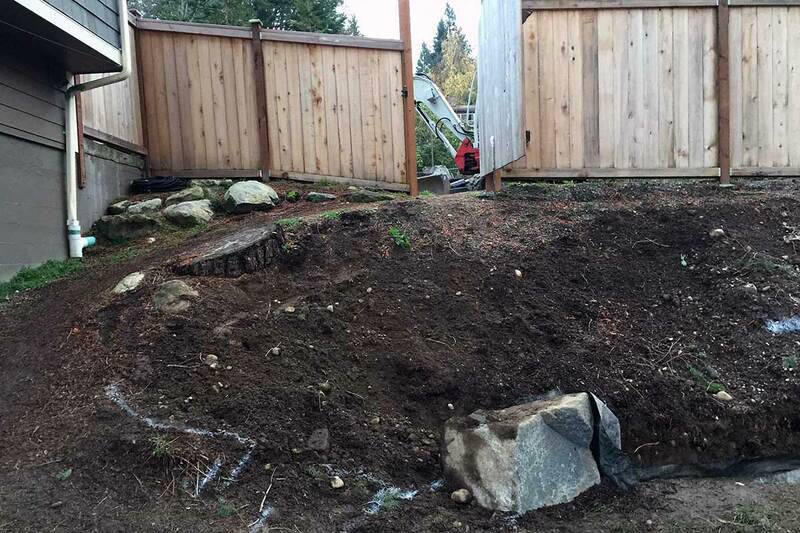 Not a very safe area for a the family to enter the backyard. 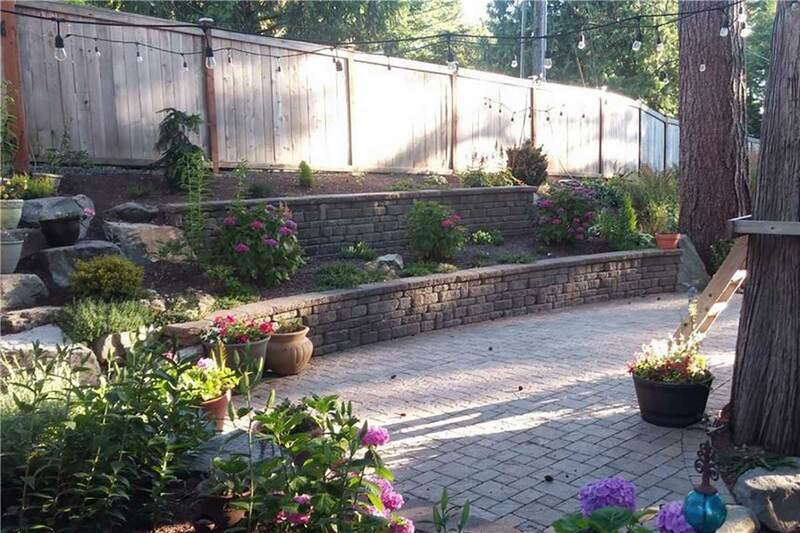 Rear view of the completed project: Mutual Materials Celtik Wall retaining wall, Dominion Slate paver patio, and rockery with natural stone stairway. 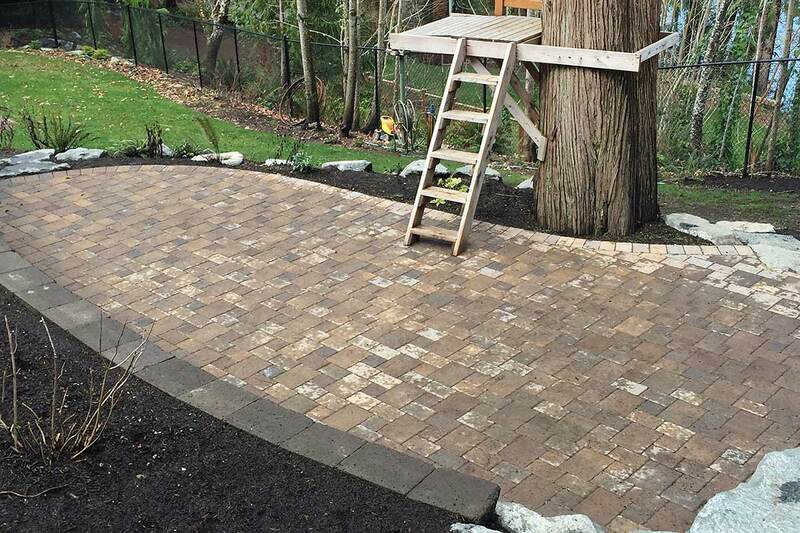 One of the key requirements of this backyard makeover was to provide safe access to a treehouse for the homeowners' young boy. 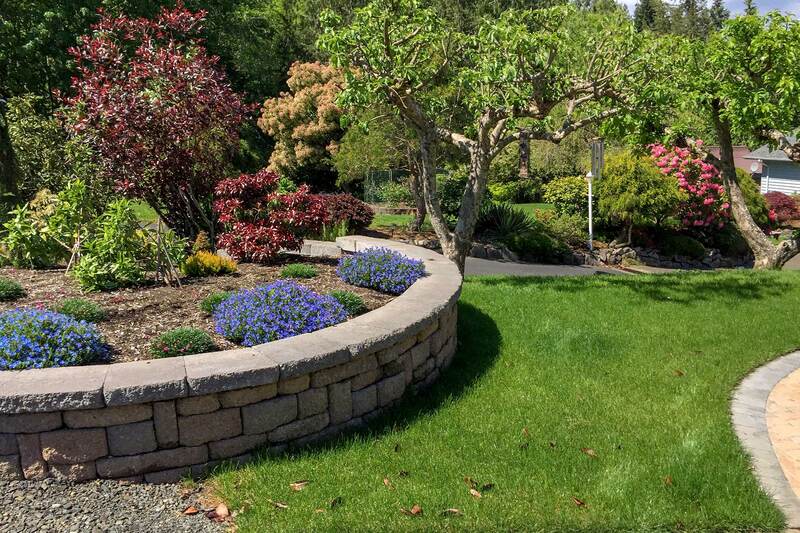 In addition to the larger border retaining wall, Dreamscapes build this matching Celtik Wall retaining wall to stabilize the downslope behind a partially covered concrete patio. 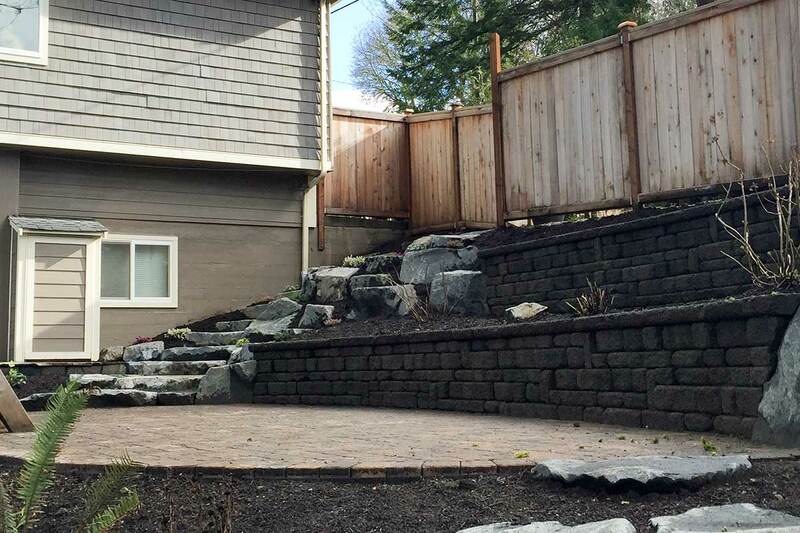 The Celik Wall retaining wall provides support for the hillside and a defined barrier behind this partially covered concrete patio. 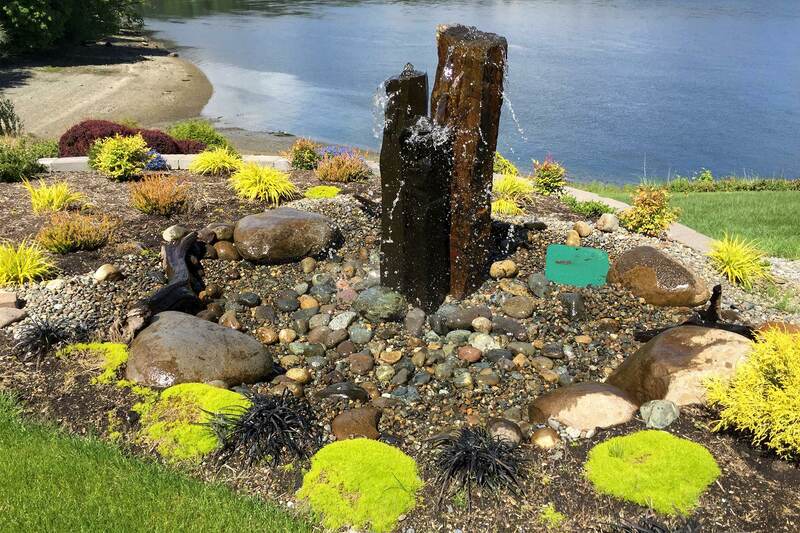 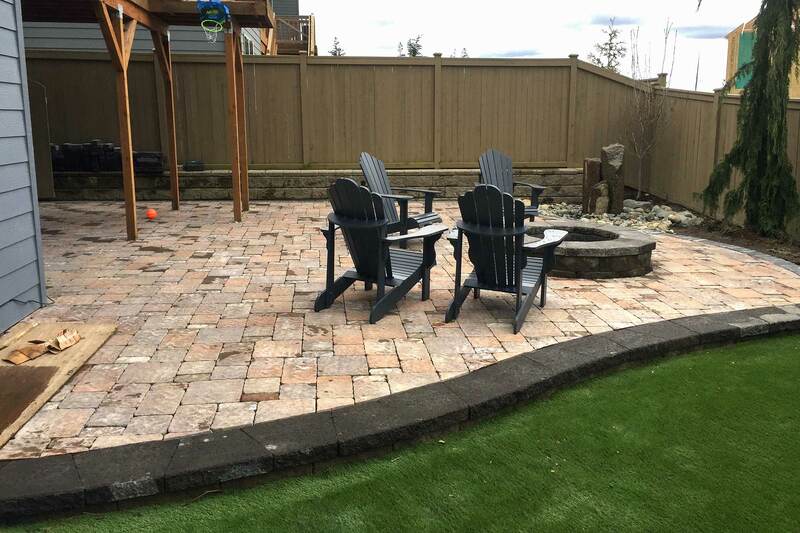 This Snoqualmie backyard now features a raised Terra Villa paver patio and low-maintenance Easy Pro turf. 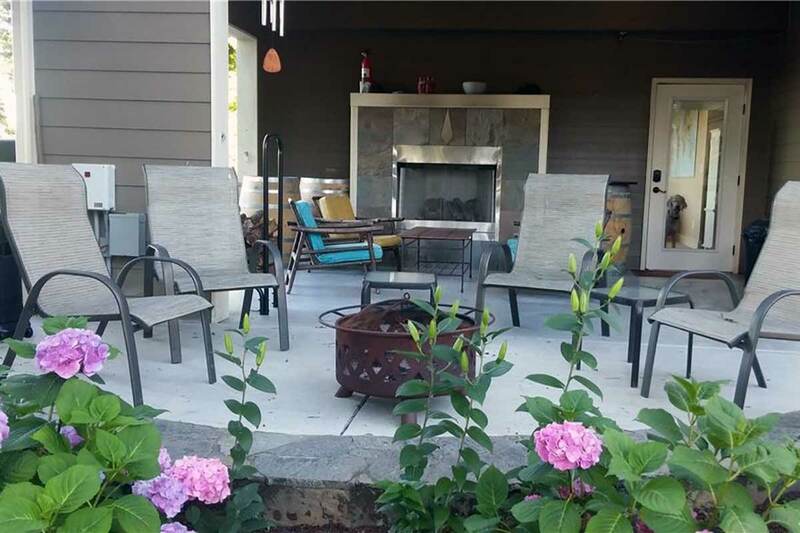 The backyard originally contained a much smaller patio and grass that had seen much better days. 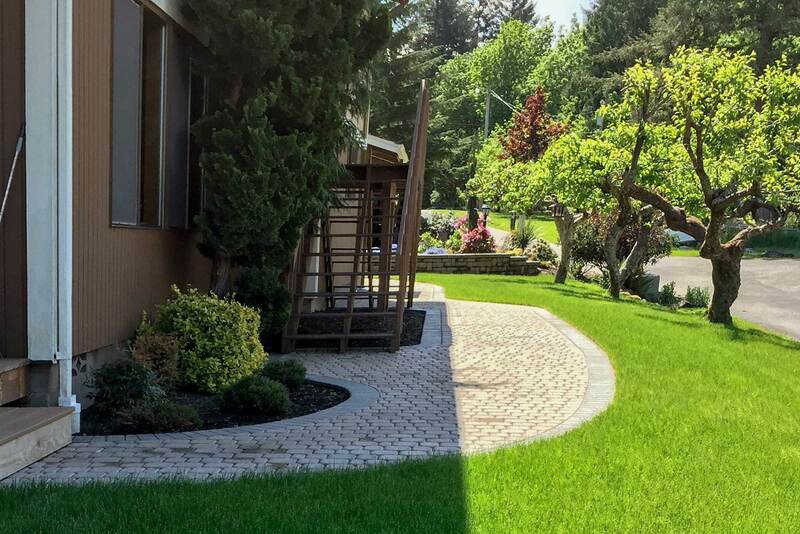 Dreamscapes completely removed the original pavers and sod and then leveled the ground with a foundation layer. 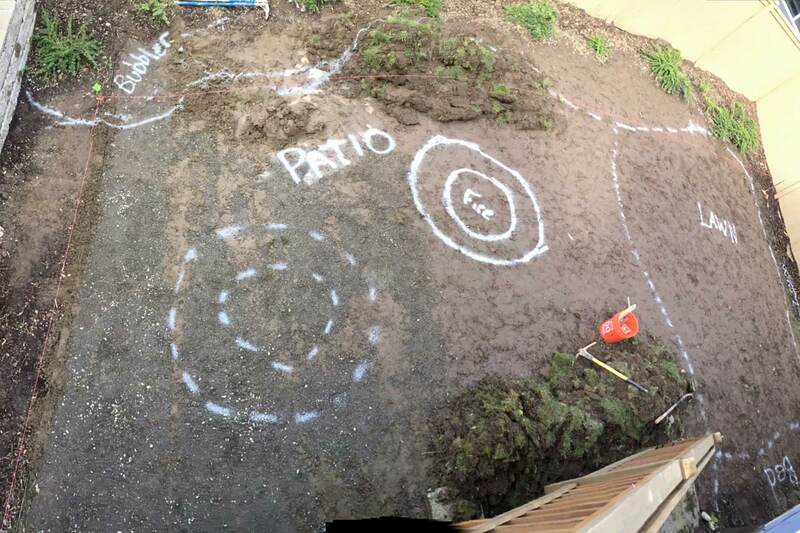 After removing the old patio and lawn, we first mapped out the locations of the new features. 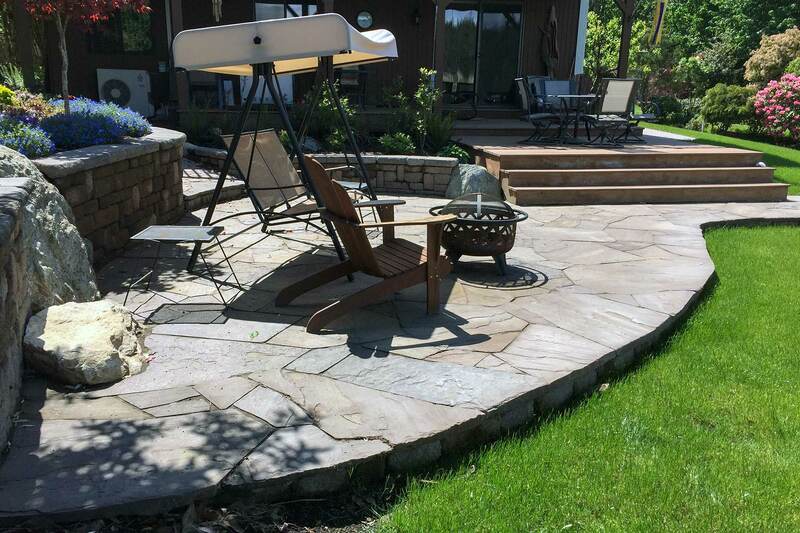 The finshed Terra Villa patio with fire pit and Easy Turn artificial lawn. 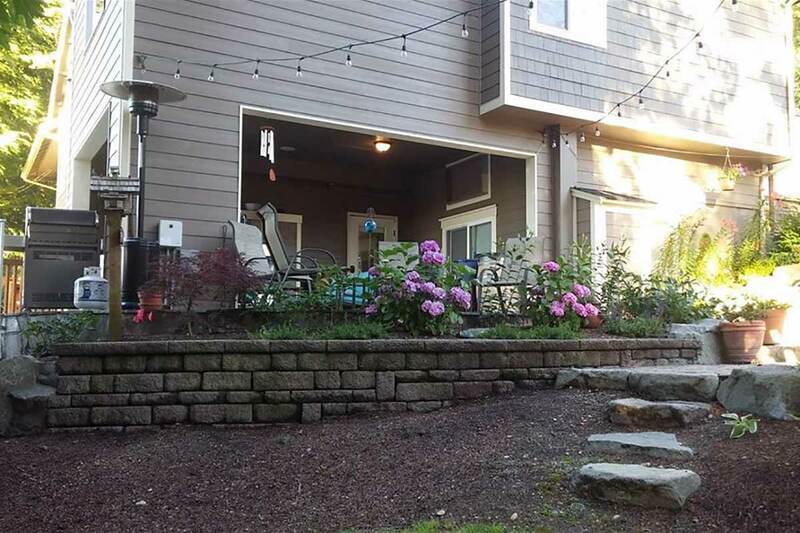 This backyard will require very little maintenance. 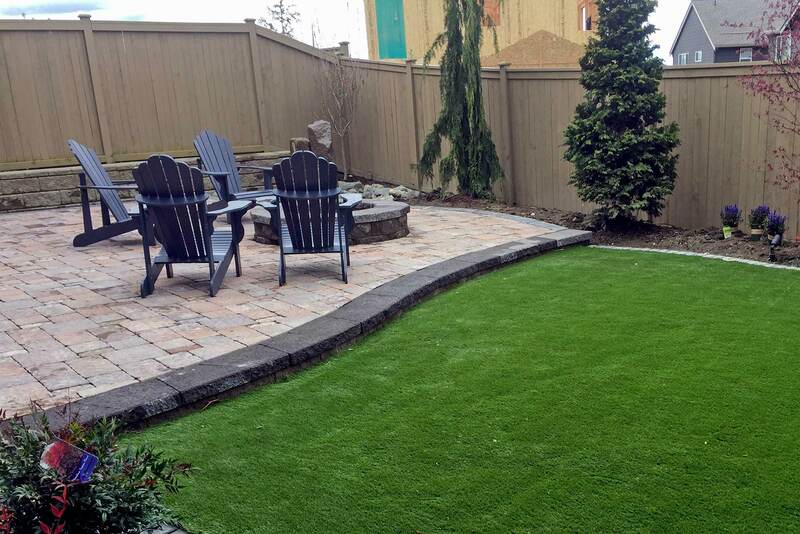 This raised paver patio and artificial turf are perfect for a busy lifestyle.